On hand to receive the award were Charles Wenzlau of Wenzlau Architects and Linda Pruitt of The Cottage Company. 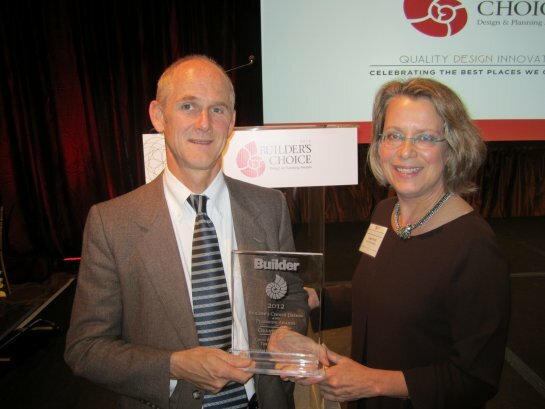 The Builders Choice Awards Gala was held October 11, 2012 at the Ritz Carlton in Washington DC. Only 36 winners were selected among more than 350 entries in the 2012 awards program sponsored by the National Association of Home Builders and Builders Choice. Twelve of the 36 winners received Grand Awards. Read the Builder Magazine online story here. The official Press Release here.